During a speech on the 16th of April, Monday, Prince Harry couldn’t help himself but honor his wife while at the Commonwealth Youth Forum in London, England. According to multiple reports, Queen Elizabeth II made her grandson the ambassador for the organization, which intends to help young people in their schooling. Before shouting out to all of his family members, the Prince thanked his fiancée by stating he’s beyond grateful to announce his soon-to-be-wife would be joining him in his affairs with the Youth Forum. As you may know, both Harry and Meghan are philanthropists and are continually working with charities. In fact, it was one of the primary reasons Markle left her role on Suits. Meghan has always wanted to help people who need it, which explains why she and Harry have gotten along so well right from the beginning. Continuing with the prince’s speech, while referencing other people he’s working with, Harry explained that he and all the others know the future lies in the hands of young people everywhere. Their education is of the utmost importance. Today Prince Harry, Patron of the Invictus Games Foundation, and Ms. Meghan Markle attended the UK team trials for the Invictus Games Sydney 2018. The couple met some of the 400 wounded, injured and sick military personnel and veterans who are currently competing for one of the 72 places in the UK's team. More @kensingtonroyal. As it was previously reported, Meghan and Harry are set to get married on the 19th of May at St. Georges Chapel. If the reports are correct, nearly 600 people will attend, and only two-hundred will attend the private reception. 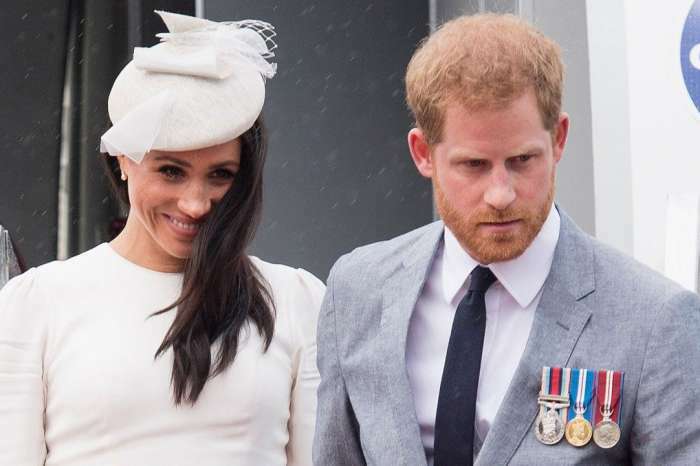 Regarding gifts, Harry and Meghan asked that people donate to the relevant charities including Surfers Against Sewage and Corporal Scotty. Corporal Scotty is the organization responsible for helping the families of men who were killed in the British Armed Forces. 'Hypocritical' Cara Delevingne Gets Backlash For Praising Beyonce’s Coachella Performance After Boycotting The Festival!